Anyway, we ended up watching a little George Carlin and came across an older tirade about Harley… funny stuff. Oh, and true enough to go ahead and subtitle. Your Harley will still be Made in America. Milwaukee, Nov. 2, 2010 – Harley-Davidson, Inc. (NYSE:HOG) is moving forward with the launch of operations in India to assemble motorcycles for the Indian market from component kits supplied by its U.S. plants, the Company announced today. The Company expects the CKD (complete knock-down) assembly facility to be operational in the first half of 2011. The announcement comes as President Barack Obama prepares to travel to India on a state visit focused on trade and business opportunities between the two countries. “CKD assembly operations in India are a natural next step for Harley-Davidson as we build our brand presence around the world,” said Harley-Davidson Motor Company President and Chief Operating Officer Matthew S. Levatich. “This investment will allow us to improve our market responsiveness and production flexibility while reducing the tariff burden, which we expect will drive growth over time by making our bikes more accessible to India’s consumers. Given the strong response we have received in the initial months of retail operations, we believe this is the right investment for this important market,” Levatich said. To date, Harley-Davidson India has been importing completely assembled motorcycles from the Company’s U.S. final assembly plants. Once the Indian CKD assembly facility in the Indian State of Haryana is operational, Harley-Davidson India will import CKD kits for select current models, consisting of components produced by Harley-Davidson’s U.S. plants in Wisconsin, Pennsylvania and Missouri and by the company’s suppliers. Indian employees at the Haryana facility will then assemble the components into finished motorcycles. Other models will continue to be imported as completely built motorcycles for now. India will be the second country in which Harley-Davidson has CKD assembly operations outside the U.S., after Brazil where the Company began assembly operations in 1999. Harley-Davidson India commenced operations in August 2009 and opened its first dealership in July 2010. The Company currently offers 12 models in its 2010 line-up in India, available through authorized dealerships in New Delhi, Mumbai, Chandigarh and Hyderabad. 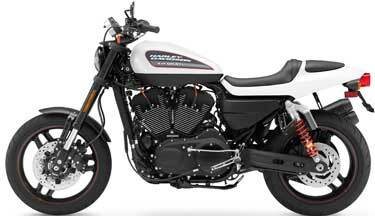 Just to whet your appetite a little bit, here is the 2011 XR 1200x Sportster. This was introduced a month or so ago and was the first 2011 to be unveiled by the Motor Co. As you know by now, we are only a few short (read llloooooooooggggggg) weeks away from the unveiling of the complete 2011 line-up. But, if you didn’t already know about this little beauty, check it out. 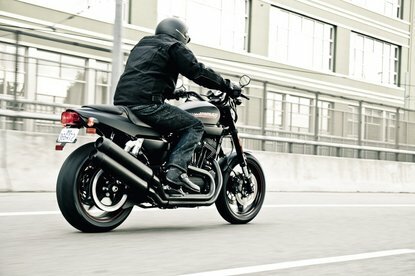 This baby is an improved version of the XR1200. It is equipped with a Showa front and rear fully adjustable suspension that can be dialed in to match rider weight, riding style and road conditions. It is also features improved front brakes using full floating rotors. 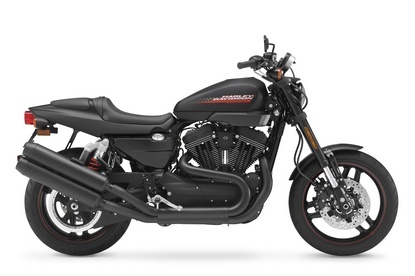 The new XR1200X has a blacked-out power train and exhaust, revised tank graphics, and black wheels with an orange rim pinstripe. It is positioned as the modern version of the legendary XR750 and is supposed to attract bikers looking for performance in the spirit of the gritty American flat-track. It will be offered in two colors: Black Denim and White Hot Denim. Starting at $10,799. So what you gonna do?? Custom, 48, Nightster, Iron, XR?? The Sporty line-up is really looking good these days! Below is a press release from the Motor Company about a new line of items they have in which a portion of the proceeds will go to help support those affected by breast cancer. I have not been able to find out what portion will go to the YourShoes group, but I suppose anything helps. You will notice that there are only 12 items available in this line, so the choices are limited. However, they did hit all the categories of items so that if you are interested in an item, you can find one to fit just about any wardrobe need or desire. As a cancer survivor myself, and as someone who is continually raising money for those battling cancer, I approve of this move and hope it helps out. MILWAUKEE (January 6, 2010) – It’s an unwritten rule in motorcycling culture to stop for a distressed rider. Of course, rider ethics go well beyond the open road, as motorcyclists often stop on the journey of life to help those in need – rider and non-rider alike. In the spirit of that support, Harley-Davidson introduced a new clothing line today designed to aid those touched by breast cancer. The new Harley-Davidson Pink Label Collection was inspired by women who have been affected by breast cancer and designed to provide them support during their difficult ride. A portion of the proceeds from the sale of every Pink Label Collection item will help fund the YourShoes™ 24/7 Support Center, which is administered by the national non-profit Breast Cancer Network of Strength®. The YourShoes center, which helped nearly 50,000 people in 2008 alone, is staffed by breast cancer survivors who provide immediate emotional relief, at any time of day, to people affected by breast cancer. The Pink Label Collection was conceived and designed by the Harley-Davidson Women’s MotorClothes Product Development and Design team. The Pink Label Leather Jacket (P/N 98160-10VW, $295) combines lightweight leather, a fixed lining, multiple zippered pockets and pink-embroidered graphics. Made from 73 percent cotton/27 percent polyester with pink-embroidered graphics, the new Pink Label Activewear Hoodie (P/N 99171-10-VW, $60) and Activewear Pant (P/N 99172-10VW, $40) are casually comfortable. The 93 percent cotton/7 percent spandex Pink Label S/S Tee (P/N 99175-10VW, $30) is embroidered on both sides and available in XS – 3W sizes. Made from 100 percent cotton with an elastic band, the Pink Label Headwrapwith Pink Embroidery (P/N 99499-10VW, $15) can be worn as a headband or wrap. To find out more about the Pink Label Collection, or purchase items from the collection , visit your local Harley-Davidson dealership or www.harley-davidson.com/pinklabel.